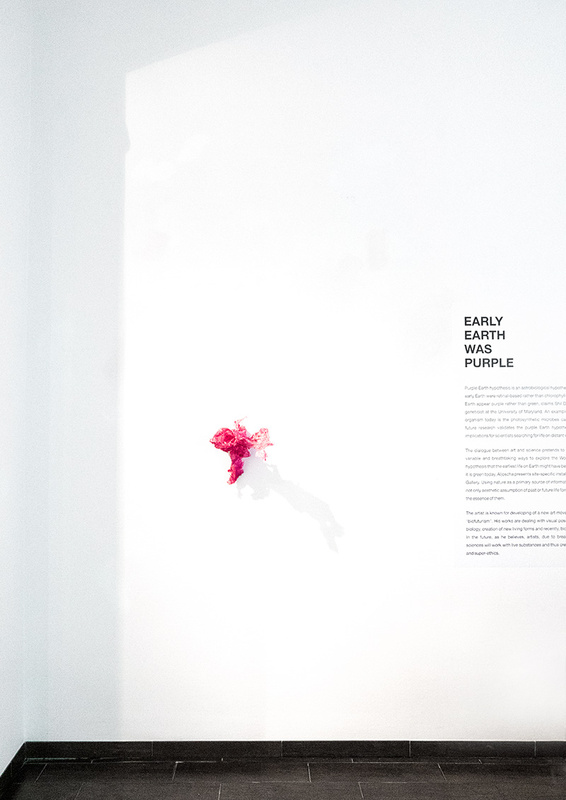 aljoscha [exhibitions] > "Early Earth Was Purple"
Purple Earth hypothesis is an astrobiological hypothesis that life forms of early Earth were retinal-based rather than chlorophyll-based thus making Earth appear purple rather than green, claims Shil DasSarma, microbial geneticist at the University of Maryland. An example of a retinal-based organism today is the photosynthetic microbes called halobacteria. If future research validates the purple Earth hypothesis, it would have implications for scientists searching for life on distant worlds. The dialogue between art and science pretends to be one of the most variable and breathtaking ways to explore the World. 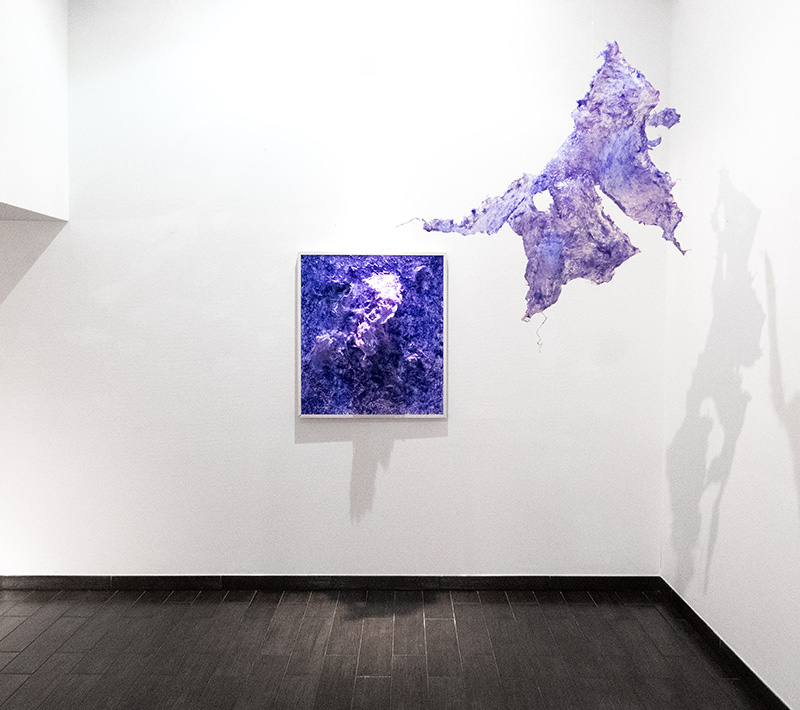 Inspired by the hypothesis that the earliest life on Earth might have been such as purple as it is green today, Aljoscha presents site-specific installation at the UVG Art Gallery. 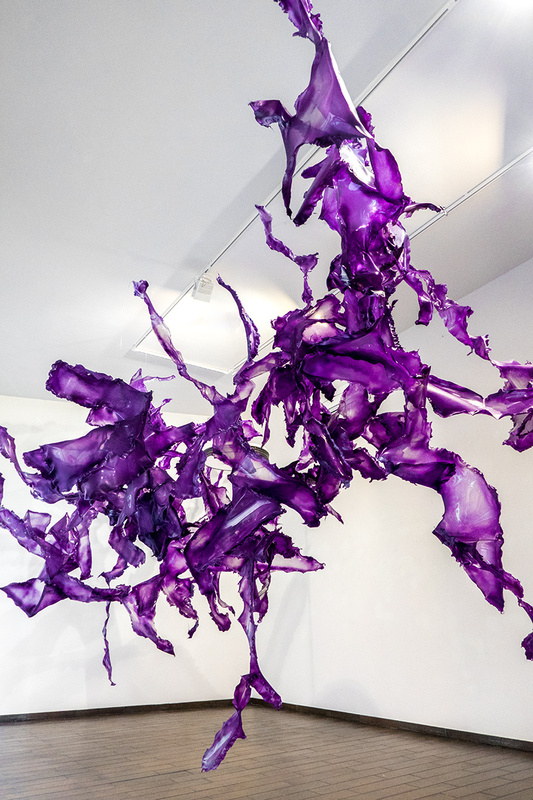 Using nature as a primary source of information the artist makes not only aesthetic assumption of past or future life forms, but he manifests the essence of them. 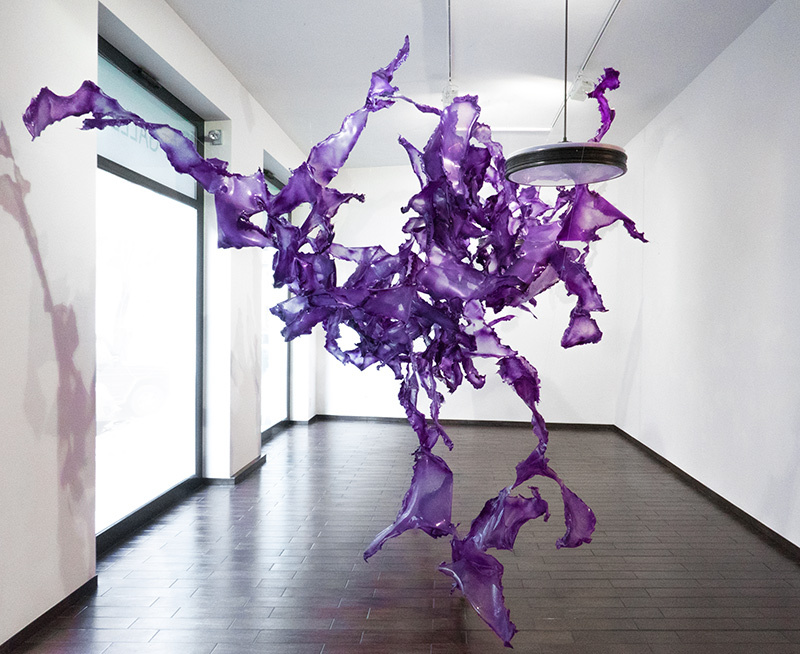 The artist is known for developing of a new art movement of „bioism“ or "biofuturism". His works are dealing with visual possibilities of synthetic biology, creation of new living forms and recently, bioethical abolitionism. In the future, as he believes, artists, due to breakthrough of biology sciences will work with live substances and thus create new forms of life and super-ethics.